Family Constellations are often done as a group process in a workshop. The group process begins by a client setting up volunteers from the group to represent members or elements of the family system. 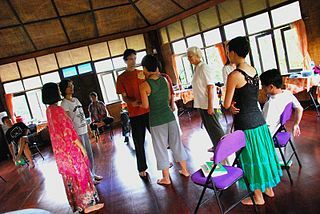 ​While the client and the facilitator watch, the volunteers move, speak, and react to other representatives. They do not act a role; in a mysterious way representatives begin to take on the essential qualities of whom they are representing. During the process we discover the imbalance that needs to be addressed and find the a solution that wants to emerge. The facilitator guides the constellation process with changes to the order or movements and suggesting statements of fact or truth that clearly reveal the imbalance in the system and the restoration of balance and appropriate honoring of the ancestors and family members. The information provided on this web site is designed to support, not replace, the relationship that exists between a patient/site visitor and his/her physician. Always consult with your physician, psychiatrist, psychotherapist or other qualified healthcare provider before starting any health program. Any benefits or claims are based on our personal experience with clients. Family Constellations are not psychotherapy. They are intended for educational and informative purposes only. Your participation is entirely at your own risk. Ortho-Bionomy® is the registered trademark of the Society of Ortho-Bionomy International, Inc. and is used with permission.